When your property needs cleaning after a tenancy has ended and the lodging is vacated, call our company and book our service. We are offering you to book our end of tenancy cleaning service and enjoy a high-quality service and economical prices. Our teams are second to none in Morden and we are ready to work any day of the week. We are a company that specialises in helping tenants and landlords with their move out cleaning because we are aware of how important it is. After all, we are a cleaning company and we value cleanliness and hygiene above all else. Our specialists can undertake any cleaning job. They have years of experience and have all kinds of professional equipment and cleaning products at their disposal to work with. When you see a problem with our results you can freely contact us within 48 hours and our team will re-clean for free. What our cleaning team will do is – vacuum carpeting, mop and polish hard floors, clean the windows internally, scrub tiles and grouting, wash bathroom walls, floor and shower, disinfect the toilet, dust skirting boards, all furniture, all surfaces and appliances in the kitchen will also be cleaned and polished, etc. Even details such as mirrors, light fittings, light switches, door knobs, etc. will be taken care of. Choose our detailed and super efficient end of tenancy cleaning service for help and you will not regret it because we are unrivalled in Morden. Morden is an area in the London Borough of Merton, located 13km south-south-west of central London and is between the Merton Park and Wimbledon. This area has a very ancient history that goes all the way back to when Celtic tribes were living in the area. But the first construction there was a Roman road from Chichester to London, called Stane Street. In 1015, the area was left to the abbey of Christ and St Peter and it became the first Saxon parish church of St. Lawrence, which can be seen today. The Morden area was merged with the urban Merton District in 1913 and was no longer a rural site. Nowadays, there are little remains from its rural days, only several buildings within its parks. There are may green parks in the area. The tallest building is from 1960s, a 14 storeys high Crown House in the town centre. Because of the history of the area its most known landmarks are parks and churches, such as Morden Hall Park, Morden park both of which contain period buildings, St. Lawrence Church and is the highest point of Morden, and also the Morden Baptist Church. This is a great place for any history lover. Even though the remains are not many, the history is rich. 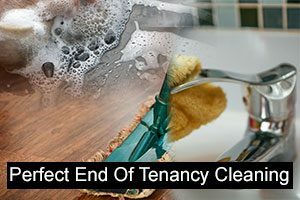 Is end of tenancy cleaning what you are in need of? We encourage you to turn to our company based in Morden because we are the only company here that can guarantee for the highest levels of cleanliness. Any time you need an assistance with a chore, make sure to choose us. We are widely experienced in the end of tenancy cleaning field and the results we can reach will simply amaze you. No matter whether you are a tenant, a landlord or a real estate agent, we can help. We work with qualified and friendly housekeepers who are specially trained to the highest standards.